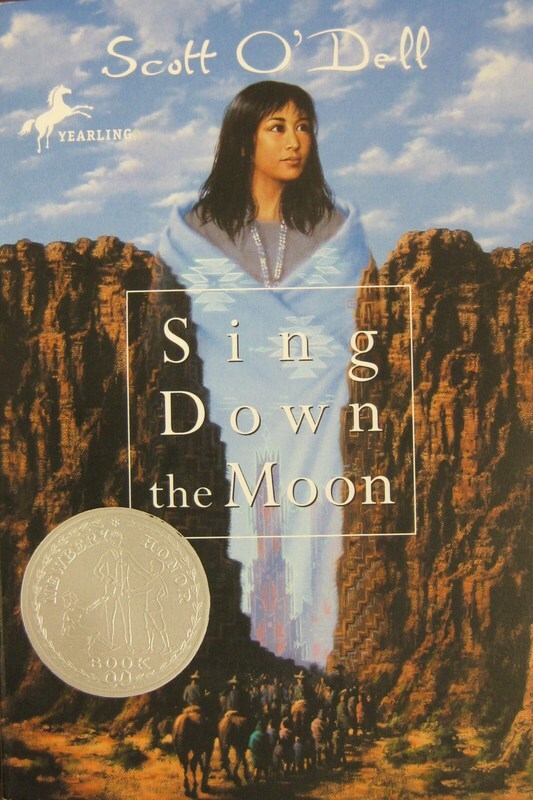 A Navajo girl is captured by slave traders, and after a daring escape, she and her tribe are forced to leave their home. Bright Morning's story gives a glimpse into a different set of traditions and values from most readers, but every reader can relate to her struggles in this story. This book offers some mature content, because the story is full of dark moments, including kidnapping by Spanish slavers, theft of homeland and forced marches to reservations, and battle. However, it is a window to history that will likely widen perspectives for modern readers. The main character is determined and strong, without complaining or being as verbally expressive about any given situation as a modern reader might be, which demonstrates a different way to face problems and deal with people. "Sing Down the Moon quote"